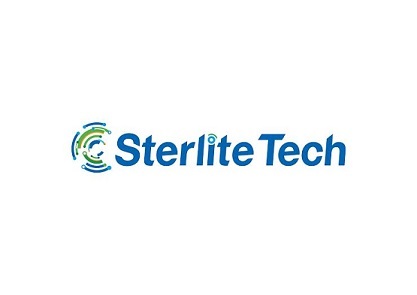 Shares of Sterlite Technologies (STL) gained today as the Union Budget 2018-19 indicated focus on improving internet connectivity in cities as well as in the railways. Finance Minister Arun Jaitley said trains and railway stations will be provided with closed-circuit television cameras and WiFi connectivity, and added that focus will be on safety and infrastructure development. STL currently trading at Rs375, up by Rs16.2 or 4.52% from its previous closing of Rs358.8 on the BSE. The scrip opened at Rs361 and has touched a high and low of Rs377.75 and Rs361 respectively. The stock is currently trading above its 50 DMA. STL is a focused pure play telecom company, which designs, builds and manages data network for clients. It derived 61% revenue from domestic market and 39% from international markets in FY17. The company has portfolio of 162 registered patents across geographies. STL is planning to enhance its OFC (optic fibre cable) capacity to 50mn fkm by FY19E. Further, government is increasing focus on ‘Digital India’ and ‘BharatNet’ to connect 2,50,000 villages through high speed broadband fibre connectivity. This is likely to boost overall demand for fibre and cable in the country. Strong visibility of 5G in next 2-3 years would augur well for the company. Overall, we see revenue CAGR of ~29% over FY17-19E. We expect raw material prices to improve by ~5% (% of sales) by FY19E. Overall, we see EBITDA margin to improve by ~190bps to 23% over FY17-19E. We expect D/E of 0.8x in FY19E. Driven by sales growth and reduced interest cost, we expect PAT CAGR of ~35% over FY17-19E.